Outsource medical coding to O2I and get access to AAPC certified coders who can significantly increase the accuracy in your code selections with their specialized domain experience. Accurate medical coding services can change your medical billing returns, claims denials and rejections. Outsourcing medical coding services can help you benefit from error-free claims. Outsource medical coding services to O2I and see an increase in your revenue! What are the kinds of medical coding that you are familiar with? Outsource2india's medical coding team has extensive experience with both diagnostic (where the doctor's diagnosis is coded with ICD codes) as well as procedural medical coding (where medical procedures, equipment and modifiers are coded with CPC and HCPCS codes). At O2I, we provide efficient medical coding services within a quick turnaround time. Outsource2india can also perform the following medical coding services. Do your medical coders have specialty healthcare experience? Yes. Each of our AAPC (American Academy of Professional Coders) certified medical coders have had 4 years of experience in specialized healthcare domains. Since we believe in specialty coding expertise, each of our medical coding teams specializes in different sections of medical coding. So whether your healthcare domain is pathology, surgery, orthopedics, obstetrics or anesthesia, our medical coders have the relevant experience. Moreover, our medical coders are aware that Local Medical Review (LMR) Policies differ from state to state. This is why we prepare medical coded claims and constantly check authentic online LMR manuals relevant to the specific location/state/region. What kind of training and certifications do your medical coders possess? Are you aware of common medical coding risk areas? According to the OIG, coding errors, misrepresentations, system integrity and security are some of the most common risk areas in medical coding. From experience, we know that the most common medical coding errors occur due to the following reasons. What efforts do you take to reduce errors in medical coding? The coding training given to our employees is centered on these coding risk areas. Each of our coding teams specializes in different sections/domains of medical coding. We code strictly according to the client profile and maintain above 98.5% accuracy. All our systems are password protected and our work place is HIPAA compliant. All our mails are password protected. We have maintained an analysis system in which each and every physician's documentation is tracked. We list all documentation deficiency errors according to the physician, estimate revenue loss due to these errors and inform them. Do you use medical coding software? Yes. We are also familiar with Edit Pro, CPT 2005, ICD Books and Flash Codes. In case, you are using another medical coding software, we can train our medical coders to use your software. Will my data be kept secure and confidential? Yes. At Outsource2india, we take special efforts to ensure that your information is totally secure and confidential. All our systems and e-mails are password protected. We are also HIPAA compliant. Before starting a project, we sign a Non Disclosure Agreement with our customers. All our medical coders also sign a non-disclosure bond. Your data will be completely secure, because we use secure VPN fire walls to remotely access your data. 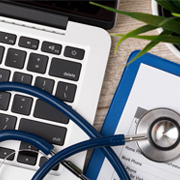 What are the next steps involved in outsourcing medical coding services to O2I? Fill up our inquiry form and we will contact you via e-mail or phone within the next 24 hours. After understanding your requirements, we will estimate the cost. You can conduct a reference check with our customers to find out about the quality of our services. We will then perform a free trial. Once you are satisfied with our services, we will prepare an agreement and start operations. We will then quickly deliver one phase so that we can together iron out any issues and improve the outcome. What other similar services can you perform? Our experience through the years has taught us that there is a way to actually reduce denials and increase your medical billing revenue! We have developed a software that can scan your reports and correct them, ensuring a 20% increase in revenue! Do you require high quality and customized medical coding services? Why not consider outsourcing to O2I? Read more specific information about O2I's infrastructure, price ranges, and benefits. To outsource medical coding services to O2I, please fill in the inquiry form and our Client Engagement Team will contact you within the next 24 hours. Outsource medical coding services to O2I and give your organization a competitive advantage!